Thanas Kountroubis competes. The freshman finished in eighth with a time of 53.87 seconds in the 100-yard IM in the championship final on the third day of the TYR Invitational. After three days of competition, Northwestern placed third with 852 points at the TYR Invitational this past weekend, falling to Michigan State and Grand Canyon who tallied 1,161.5 and 1,043 points, respectively. The Wildcats were followed by Saint Louis in fourth, University of Illinois-Chicago in fifth and Truman State in sixth. “We came into the meet just continuing our training plan and just putting on a fast suit to see where we were at because that’s what we’ve done in the past,” coach Jarod Schroeder said. Even though the Henry Crown Sports Pavilion pool saw about 150 races this past weekend, only the top 24 athletes in the individual events swam during the final session of each day and only the top 16 in each event scored, Schroeder said. Considering NU is a relatively small squad, it generally has four or five swimmers in any one event compared with teams such as Michigan who sometimes has upward of seven athletes in events, Schroeder said. As a result, these competitors have an advantage when it comes to amassing points in larger meets such as the TYR invitational, or even the Big Ten Championships, because their larger size allows them to have more depth, Schroeder said. 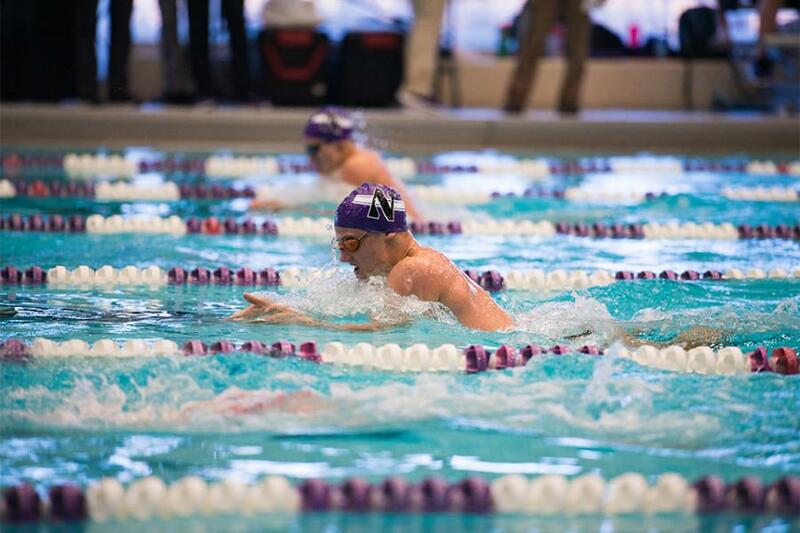 Regardless of this, Schroeder said he believes NU had solid performances across the board, explaining that the swimmers were more aggressive overall in the front halves of their races and that several freshmen hit times near or at their best of the season. Although the Cats will begin preparing for the latter half of the season in the next seven weeks, Schroeder said they still refrained from tapering times before entering this weekend’s invite, making the team look “lopsided” in comparison to their competitors, such as Grand Canyon University. With a roster largely comprised of international athletes at or near the Olympic level for their countries and who broke 10 pool records, some made by U.S. Olympians, Grand Canyon was ready to compete this weekend. Ultimately, Schroeder said NU treated the TYR invite as a stepping stone for the rest of the season. Rather than seeing how fast the team races in one particular instance, the squad is instead remaining focused on getting through finals and taking additional steps forward with its training. Improvement, however, will not come overnight. With only one senior on the team, the Cats are lacking the upperclassmen guidance that typically serves as the squad’s driving force, Schroeder said. As such, the coaching staff is now employing different teaching methods as they work toward curating an environment in which athletes are able to step out of their comfort zones, Schroeder said.